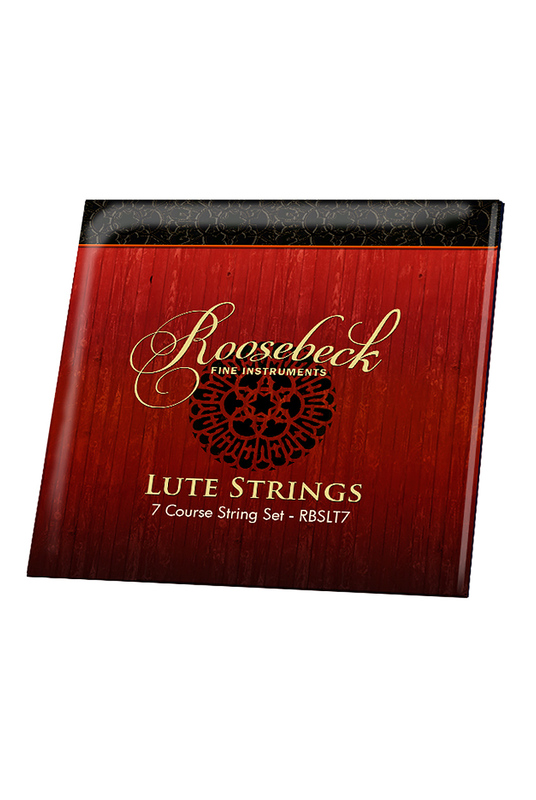 Roosebeck Lute 7 Course 13 String Set RBSLT7. Throughout history lutes have typically had gut strings. 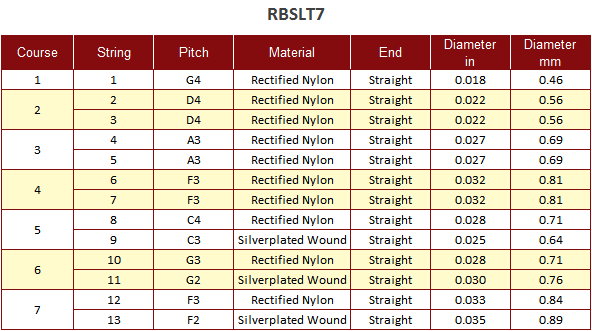 Lute strings today, however, are nylon made with high precision instruments. The rectified nylon strings in the Roosebeck set are known for their warmer tone and lightly textured feel. The silver plated copper wound nylon bass strings also produce a very warm, classical tone. We recommend the traditional Renaissance tuning for this set. We also recommend this string set for the Descant Lute LTD7L, but the tuning is one step higher, with the highest string being tuned to A.